Attention: As you will notice, all of the titles under the fictional section have the blue 'f' facebook logo and the 'A' Amazon.com logo. Clicking on the 'f' facebook logo will bring you to the appropriate facebook website. Clicking on the 'A' Amazon.com logo will bring you to the appropriate sales site at Amazon.com. Neither facebook nor Amazon.com endorses this website or my products. They are the respective owners of their respective trademarks. I am using their trademarks with permission and within their guidelines. Clicking on the John Rocket logo will bring you to the main John Rocket website. clicking on the facebook logo underneath will bring you to the John Rocket website, and the 'A' logo will bring you to the Kindle website. To order printed editions of John Rocket, please visit the official regular website or official facebook website and contact my directly. Don't forget - You do not need a Kindle to read the Kindle books, you just need a Kindle e-reader. Amazon.com has been giving away these electronic e-reader programs for free. Check it out! The 'f' logo is owned by facebook and is used with permission and with their guidelines. Facebook does not endorse this page or the products therein. The 'A' logo is owned by Amazon.com and is used with permission and with their guidelines. Amazon.com does not endorse this page or the products therein. 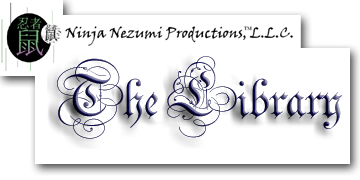 Under no circumstances is Ninja Nezumi Productions, L.L.C. attempting to lay claim to the logos mentioned above, their intellectual property or implying any endorsement by facebook or Amazon.com for products listed on this site. We're simply trying to advertise our pages and products available on the respective sites :) If there are any questions, comments or concerns please contact us directly for speedy resolution.